Wiring diagrams show the connections to the controller. Wiring diagrams, sometimes called “main” or “construction” diagrams, show the actual connection points for the wires to the components and terminals of the controller. They show the relative location of the components. They can be used as a guide when wiring the controller. Figure 1 is a typical wiring diagram for a three-phase magnetic motor starter. Line diagrams, also called “schematic” or “elementary” diagrams, show the circuits which form the basic operation of the controller. They do not indicate the physical relationships of the various components in the controller. They are an ideal means for troubleshooting a circuit. Figure 2 shows a typical line or schematic diagram. The American Standards Association (ASA) and the National Electrical Manufacturers’ Association (NEMA) are the agencies which are responsible for setting up and maintaining the symbol standards. Because of these standards, you will be able to read all diagrams that come across your workbench. 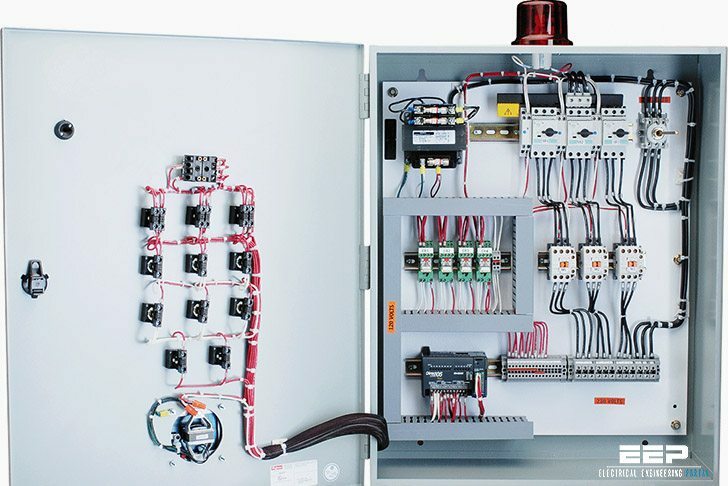 Knowledge of basic single- and three phase electrical systems including basic AC and DC motor control and safety measures on electrical equipment. it is a good knowledge for learning. I’ve known the control but the question is how do you actually connect the 3 wires coming from overload relayinto the connection box of the motor if it has 3 leads or 6 leads? Depending on your motors application (low or high voltage). In a 480vac application you’d wire the wires inside of the box 4-7 5-8 6-9… The 3 phases coming into the box from your overload would pair with wires 1,2,3 inside of the box. Thank you so much!! This is helpful!! I am glad to be part of this site! !